Read some of the powerful stories of our Alumni and the remarkable change volunteering experiences made in their lives. “I now have a life with fewer coins in my pocket but a bag full of rich experiences,” declares a defiant Abhijit Sarkar on being asked how Pravah’s Youth for Development (YfD) program has impacted him. The experience of YFD for him meant that he learnt to be more disciplined and economical in his approach. He also realized that the process of development is a slow one but with many possibilities that he was not aware of before. His journey began as a process of self-exploration. He was quite content with his corporate job in Delhi when a phone call from the Youth Intervention team inspired him to rethink his career choices. 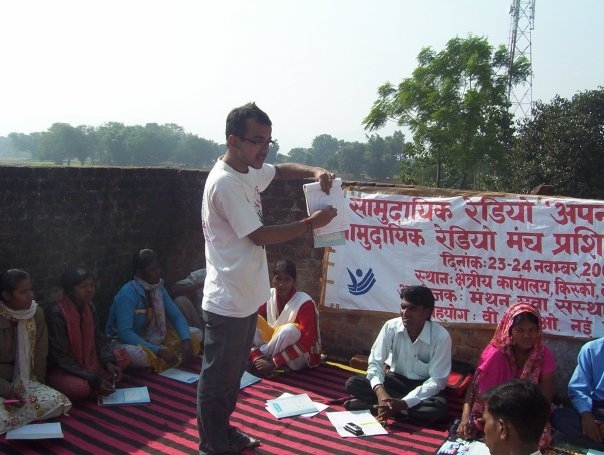 Quitting his job in 2009, he went to work with the Manthan Yuva Sansthan in Jharkhand as part of his YfD internship and has switched loyalties to the development sector ever since. 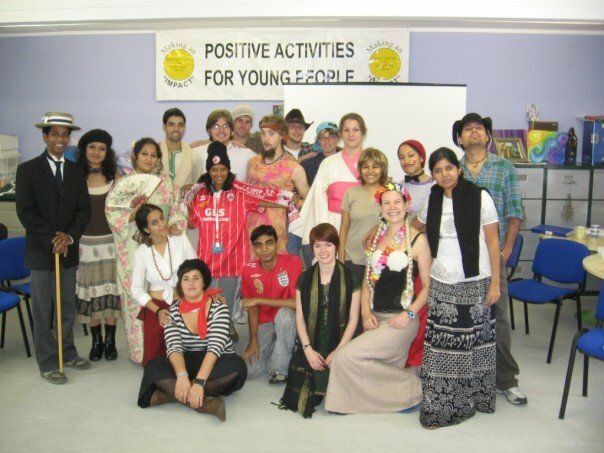 He calls his journey “incredible” and “beyond words,” claiming that the YfD internship presented him with opportunities to engage with people and communities at a deep level, develop engaging relationships with a diverse set of people from all walks of life while enabling him to be more sensitive towards different perspectives. 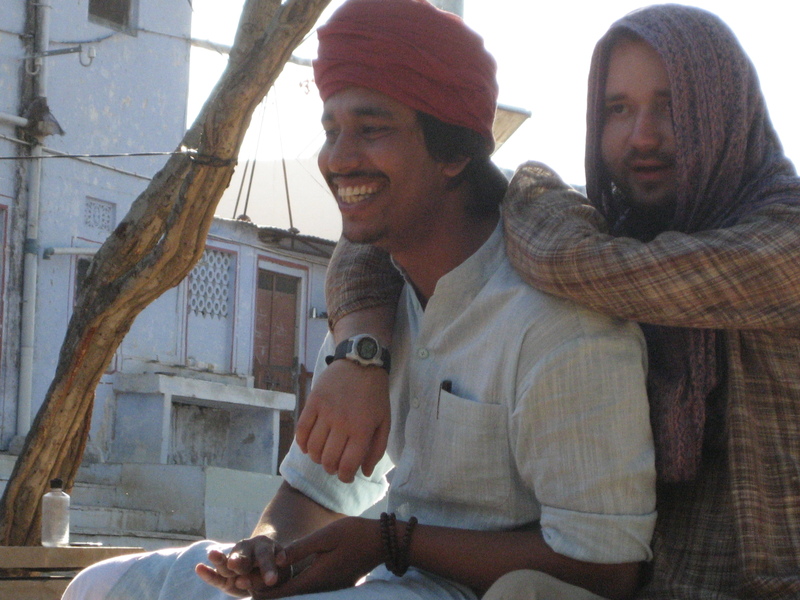 Having largely been confined to Delhi until the internship, this experience allowed him to work and travel through rural India, exposing him to a range of issues and experiences he was unaware of. For Abhijit, YfD’s “lead through example” policy and the approach of working on the self rather than just changing the society made all the difference. “I never thought of myself as a leader,” he says. “I earlier assumed that the definition of leadership is about telling people what to do and ensuring that the work is done within the timelines. However, during my journey with YfD, I realized that leadership is equally about inspiring people to take responsibility and ownership. I realized that the way to lead was to walk the talk.I was surprised to see that people looked up to me to inspire them on a continual basis,” he adds, beaming with pride. Abhijit now works as a freelancer on various development related social projects across India. He worked with Pravah for a while, creating a cadre of 13 volunteers and supporting their journey through YfD. He was also involved in Reva Diaries project, an initiative by Ravisha Mall another YfDian by supporting the key processes such as mobilization and documentation. 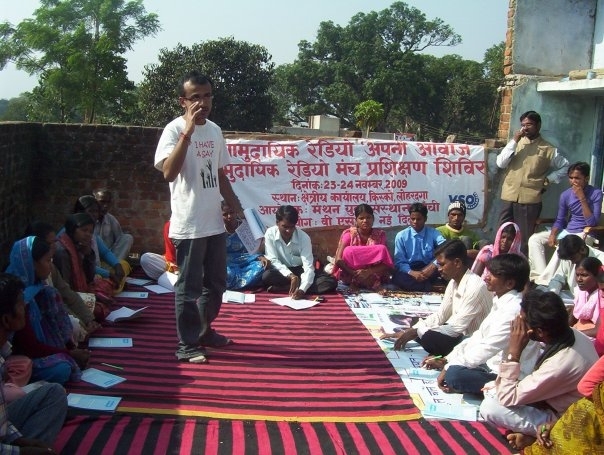 He went on to work with Gram Swaraaj Abhiyaan intensively working in three villages in the Bundelkhand region though participatory tools such as micro planning. One of the villages – Bhedkhedi took social actions such as organizing an ‘aam sabha’, forming a committee for managing their forest in a better way. where once the waters flowed free. they hail “Dharaji” (The Abode of the Flow). by the dam that killed the flow. blackening countless lives in one go. but all development’s brought in is a trail of destruction. It devoured the river, it devoured the jungles, and we know not what else is in store. Our fight against this injustice will have to continue more. 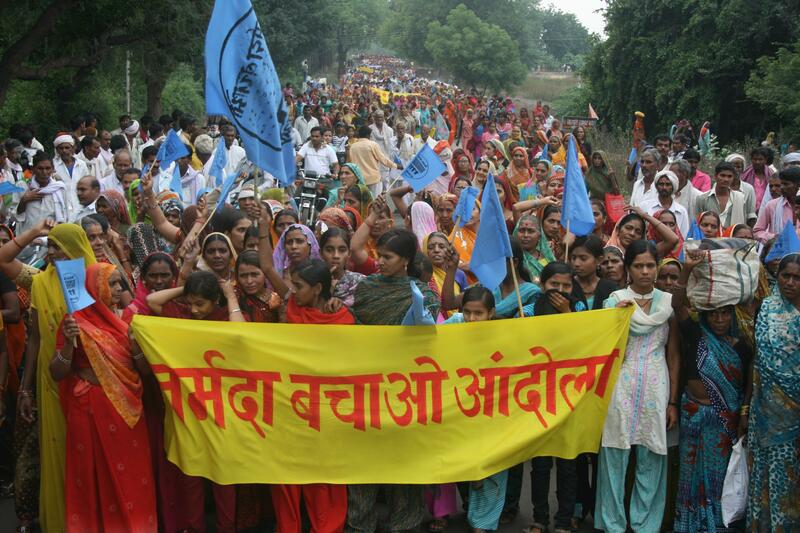 and stop this injustice against mother Narmada in time? Manmeet works for Fair Food International, an international NGO that is facilitating change towards a sustainable food and beverage industry. She is setting up the office for South East Asia and will be working with F&B companies on issues such as green buildings, better labour practices, eliminating child labour in the supply chain and the use of organic seeds, to name just a few. Manmeet was a student of journalism in Kamla Nehru college when she heard about Pravah. The first program she joined was SMILE. The film club that hosted film festivals and discussions helped her to build a perspective on social issues, see the big picture and join the dots between different seemingly discrete issues. She also discovered “Where I fit in the larger scheme of things and how I could contribute to change.” One of the things she did was to start a film club in Kamla Nehru College that continues to run today. It uses film as a medium to discuss social issues and an individual’s role. SMILE opened up windows to different work options and alternatives. After SMILE, Manmeet was encouraged to explore GX in 2006 – 2007. GX sowed a traveling seed in her and gave her the opportunity to experience new places and people. In the UK she worked with a community arts project where she helped getting young people involved in theatre. She lived with an Italian family with whom she is still in touch. She enjoyed discovering the similarities between Italians and Indians, something she had not expected. In India, the GX participants designed their own project at Tilonia: she started a natak group, wrote and illustrated a storybook for children and renovated the balwadi to make it more child-friendly. 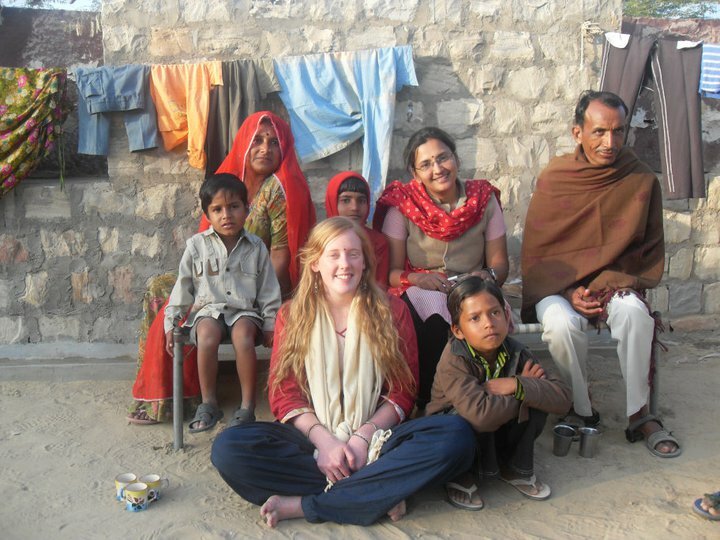 Living in a small village in Rajasthan gave her an opportunity to engage with people she would never have met otherwise. Through her interactions she learnt to accept that people look at things differently and although she may not be able to change people’s views, she could still interact with them, work together and have fun. After GX, she worked at Pravah with the Change Looms program and later with the Youth Interventions program, mentoring college students who were going through the SMILE journey. She then decided to return to academics and did her Masters in Development Studies from Oxford Brookes University in UK. During her studies, she also volunteered with a homeless shelter for young people in difficult circumstances, such as teenage mothers, refugees, women forced into marriage and young people on substance abuse. Manmeet spent 20 hours a week with the shelter and supported young people towards becoming independent – helping them to fill up college forms, introducing them to support groups, mentoring them to pay their rent on time and developing a routine that would enable them to get back into the mainstream of life. The work was high risk with long hours and tough conditions but it pushed Manmeet out of her comfort zone. Later she did research for a pesticide action network in UK and developed a toolkit on environmental regulations for grassroots organizations in the Asia Pacific region. Today she is happy to be back in India and looking forward to her new job with Fairfood International. Monisha Vemavarapu is a 22-year old graphic designer from the National Institute of Design. In the normal course of events, she would probably have graduated, pursued a Masters and ended up working in a regular 9.00 to 5.00 job at a design studio helping to sell products like calorie free sweetners to consumers. But she opted for Global Xchange (GX) instead and that changed her perspective on life and her plans for herself. The theme of the first phase of GX (UK) was the ‘World of Food’ focussing on the community and the need to raise awareness about unhealthy diets and importance of locally grown organic produce. As part of this theme, the volunteers led by the local community organised a ‘Global Winter Fayre’ – a local farmers market. To promote this event in the community, Monisha visualised and designed a series of posters and notices, as well as, promoted the various issues around Food Access, unhealthy diets and genetically modified food, as well as, organic produce. Monisha also volunteered at Organiclea – a not for profit cooperative which works to promote permaculture through localising the food system and re-building community. Monisha helped prepare the land on the farm to grow organic crops, create manure using leaves and vegetable waste. 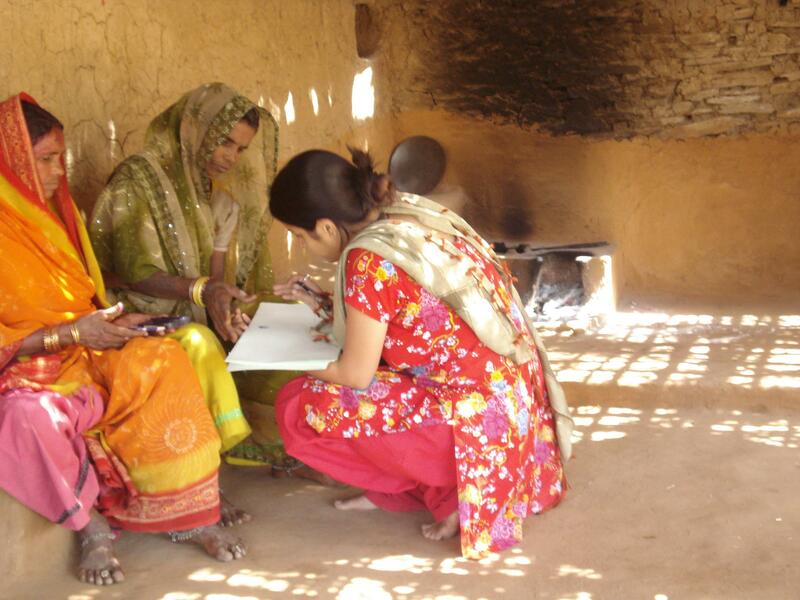 In the second phase, Monisha was based at URMUL MarusthaliBunkarVikasSamiti (UMBVS) – an organization in Rajasthan set up for the welfare of weavers in the villages of Jodhpur and Jaisalmer districts. Monisha undertook surveys, created and designed a website for UMBVS, created textile designs and re-arranged the layout of Kashida- the UMBVS cloth showroom. Valuable skills, hard to come by in rural areas. Living in the village of Bhojasar for three months with a host family and residing with the Meghwals (listed as schedule castes), Monisha gained an understanding of discrimination and also of issues around livelihood, health, education and resource management. Along with other volunteers, Monisha organized a free medical health camp with a female doctor and distributed medicines to about 200 members in the community, especially the lower castes and Muslims in the village – traditionally the most disadvantaged in Bhojasar. Monisha was also part of the team that organized a health seminar targeting the women of the Bhil, Lohar and Sansi communities. The team also conducted a survey and visited about 80 homes to raise awareness about government maternal health and immunisation schemes and encouraged villagers to go to the Primary Health Centre. Today Monisha is freelancing with NGOs helping them with their communication needs. She is also interested in teaching and exploring other avenues. Her experiences with GX have made her a more reflective person who is happy to spend time searching for what she really wants to do instead of succumbing to social pressures and take up a regular job. “When I was in college, 6 friends went to prison. I could have been one of them”. Rameez Alam, a participant in the 2008-09 Wales – Tilonia Global Xchange, describes how GX offered him an alternative…. The GX experience was that alternative. In Wales, Rameez worked for a community welfare organization that recycled used furniture and sold it at affordable prices. He also learned how senior citizens could play a vital role in identifying and finding solutions to community problems. 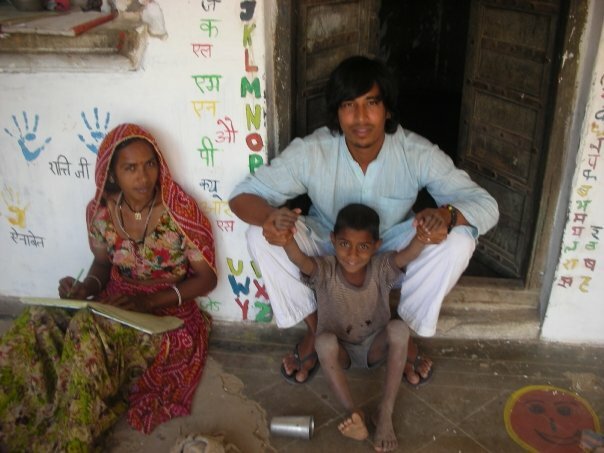 Back in India during the second phase of the program, Rameez went to a village called Thal in Rajasthan. For the first few days there was nothing to do and a bored and frustrated Rameez started wondering how he would survive! But then he took the initiative to start coaching classes for students after school hours. He also decided to revive the night school that had closed down 10 years ago. He set about mapping the households in the village, conducting a survey to learn about the education status of the children and identifing out of school children to check the feasibility of the night school. Then was the task of finding teachers from the community who would be willing to teach in the school. Although it was hard work, it paid off. Rameez has gone back to Thal 3 – 4 times and is happy to see that the school is still running today with about 30 children. “Today I am a firm believer in non-violence and the need for dialogue to solve a conflict. I no longer react to provocation. I remember once someone tried to provoke me by passing insulting remarks about my religious community. Instead of picking up a fight – as I would have done earlier – I ignored him and left. My friends were surprised at my response but I did not see any scope for a dialogue”. “I feel I have become more responsible today and am clearer about what is right and wrong. I try to inspire others by setting an example. When I went home and started washing my clothes and dishes, my family was so surprised! This was contrary to the socially prescribed gender roles. But they also appreciated it”. Ravisha Mall, currently pursuing her Masters in Mass Communication from Jamia Milia Islamia, applied for the Youth of Development with PRAVAH, right after she finished her Bachelors in Design from NIFT, Delhi. A practicing graphic designer, disillusioned by her environs, she was seeking an experience that would enable her to understand the developmental issues plaguing the country. Her objective was to use her capabilities, also the education she felt blessed to have received, to make a contribution towards addressing these issues. The passion to work with marginalized communities motivated her to embark on a voyage with Narmada Bachao Andolan (Save the Narmada Movement) and the people of Narmada valley. Ravisha attempted to share with them the pain they felt at losing their homes and livelihood due to submergence of their lands. The idea that people had lost not only their property, but, in some cases, their lives, just so that another set of people could have an endless supply of electricity to run their air conditioners and television sets, was unfathomable to her. She was unaware of this unfair face of development and the insurmountable price the farmers, fishermen, landless laborers and tribals paid for it. The ineffectiveness of the judiciary in helping these people, further alarmed her, as she became a regular at the High Courts of Madhya Pradesh, filing petitions and appeals on their behalf. The dead-end procedure and the constant resistance to confronting the issue by these institutions, established to uphold justice, reaffirmed her resolution to make a difference. Having absolutely no legal background, she received instructions from NBA workers on court procedures, collecting affidavits, putting together documents, filing them in the court, briefing lawyers and also filing RTIs. In November 2010, she helped mobilize and photo-document a massive people’s rally in the town of Mandleshwar. Roughly 20,000 men, women and children took part in this event. From December 2010 to April 2011, she travelled across Madhya Pradesh visiting remote villages to speak with people, obtaining information through RTI and appearing in court hearings to attain stay orders to stop further construction of Maheswar dam project. During this period, some of her photo-documentation was exhibited at Alliance Francaise as a part of the show’ New Documents’. Her interaction with the movement made her realize that the mass displacement over a period of 30 years had not only destroyed people’s livelihood and settlements but also their socio-cultural identity. She then put together a group of 18 art practitioners working across various media and organized a four day residential camp, Reva Diaries, at Dharaji, one of the remotest villages on the banks of the Narmada. Between the 1st and 5th of April, 2011, these artists engaged with people from four villages, slated to be submerged in the near future. The artisans attempted to understand the psychological impact of the threat of losing their homes and engaged the villagers in activities ranging from a children’s drawing workshop, to painting their walls, to a traditional dance performance. It became a great learning space where activists and villagers could connect and discuss the issues of cultural loss caused by development. Currently, the fate of these villages is still tethered on a tight rope. Ravisha, although busy with her college assignments, continues to lend a helping hand by organizing press conferences for NBA in Delhi and inviting journalists to write about the issue.